t may seem like all you need to do in order to prepare for warmer weather is buy a new bathing suit and book your summer getaway, but beyond the traditional deep cleaning, there is no better time to get ready for summer than now! 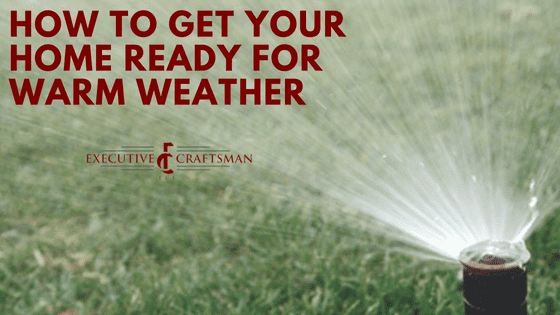 To assist you in the process of getting your home up to speed with the rapidly changing season, our crew at Executive Craftsman has created a list of the most important tasks necessary to prepare your home for warm weather, and save you time and money by doing so! Now is the perfect time to check your outdoor spigots and irrigation system to make sure that it made it through the harsh winter intact. Remove all insulators from the outdoor faucets and then turn on the water. A slow trickle could mean that you have a problem with your pipes. If water is not flowing correctly, we recommend calling a trusted plumber. Spring is the perfect time to remove and clean storm windows that have spent the past few months keeping out the cold and ensuring that the warm stayed in. To really make those windowpanes sparkle, fill a spray bottle with window cleaning solution and use a squeegee to leave the windows streak free. If you are someone with sensitive skin, always wear gloves just in case to prevent irritation. While you are cleaning, examine the windows to see how they have put up with the winter. If there are signs of dry rot and water damage, re-caulk or replace the damaged weather stripping where needed. This will make a major impact when you must keep the hot air out. Don’t forget about the window screens! Inspect them and repair any damage and reinstall them in your windows. Use a hose and a mild detergent to clean your screens, but don’t pressure wash them. The more force, the greater the chance that something could be damaged. Window repair kits can be found at many convenient stores. To be truthful, there is nothing quite like having your air conditioner break when summer is in full swing. Because of this, now is the best time to check out your air conditioning system to make sure that it will be able to keep you nice and cool in the coming months. Change the system’s filter because clogged and dirty filters can make air conditioners work harder and will actually cost you money in the long run. If everything seems to be correctly functioning, it is still a great idea to call a professional. A properly tuned up unit will extend its life cycle and will keep it running efficiently. The trowel can be used to scoop the debris out of the gutters and then once you have gotten most of it out you can spray the remaining with a hose to get those clogs out. Be sure that your downspout flows away from your home! Take a quick look at your roof and home’s exterior to see if any minor problems have developed over the winter that could potentially turn into major problems. Even if your roof is too high, inspect your shingles, flashings, and chimneys using a pair of binoculars so that you can give them a proper inspection from the ground. Check for misaligned, cracked, or missing shingles. These could allow water to enter your home and cause some serious damage. Even after you have finished your roof inspection, examine the rest of your exterior for chipping paint or other damage that could have happened during the winter or early spring. Once you complete these important home maintenance activities, you will be all set to enjoy the warm weather and relax on your beach getaway. How to plan a new deck that works with your property, meets your budget, and offers a great return on your investment. On a warm, breezy summer day when relaxation is the first thing on your mind, there is nothing like hanging out on a deck. It is the ideal location for entertaining, cooking out, or simply catching some z’s. Not only does a deck boost your outdoor living space, but also it can actually become an asset when you sell your home. Decks add living space to your home at a fraction of the cost of an enclosed living area. When adding a deck you will pay $25 to $25 per square foot for a professionally build deck rather than $100 to $250 per square foot for a typical enclosed addition. If you are someone that is determined to build your own deck, plan on spending between three to four weekends on creating a deck that is 14-foot-by-18 deck. If building a deck by yourself is a task that you would like to complete then you can either purchase a ready-made deck or use an interactive designing website. Some great websites that will assist you in this process are Lowe’s Deck Designer and Deckorators. Planning the perfect deck requires a lot of careful consideration of your site, your budget, and the features that you should or shouldn’t include. 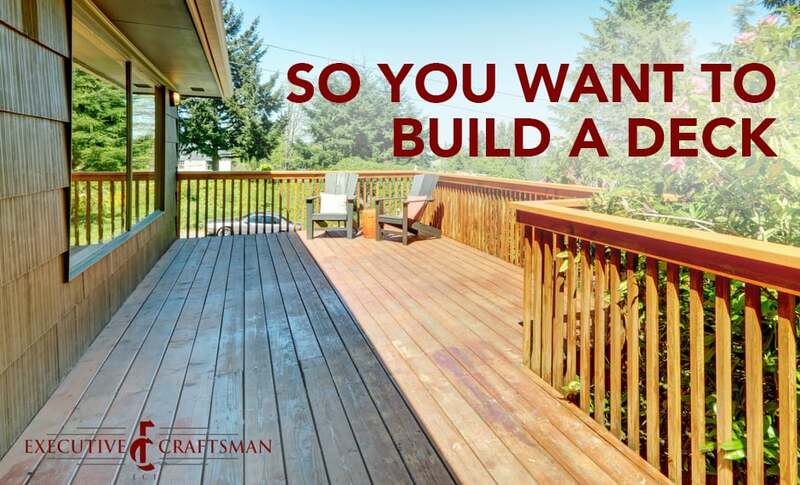 To simplify this process, here are some priorities that our team at Executive craftsman believes is important when planning your dream deck. Since your deck is going to the most popular location to entertain, finding the perfect place for it to be is important. The first step is to decide how the deck will be accessed from inside of the house. Many decks are connected from the back door of the kitchen, however that most likely will not be efficient. All this does is force more traffic through the kitchen which slows down cooking and when a big group is at your home this can just cause an awkward traffic jam that is more stressful than anything. We believe a great solution to this is to add a French door or slider that will give you access to your deck from either a dining room, living room, or family room while being still in close proximity to the kitchen for preparing food. Deck hack 1: Try to position the doorway in a location with an expansive view! This way your guests will immediately feel relaxed from the peace and serenity that your new deck offers. This next segment is a very important one! Be sure that your deck neither takes over your yard or becomes completely lost in it. Many local codes may set standards for how large your lot can be and these limitations should definitely be checked early in your planning process with either your city or county building department. Be sure that you take some time to find where you would like to put stairways off of the deck so that they provide access to the backyard without being in the way. Deck hack 2: Consider the path of the sun and the location of the trees in your backyard when putting in your deck. It is possible for sunlight to be pleasant and warm in the morning while also completely unbearable in the afternoon if your deck is not positioned right. Having a shade tree to the west of your deck will help provide shade and block out the brutal late-day sun. An ideally located deck will also preserve privacy and act as a screen when the weather is a tad windy. Not only are codes important to preserve the values of a property, but they also promote safety. If railing balusters are spaced too far apart then they can actually become a falling hazard for animals or even small children. Many codes say that a 4-inch gap is the maximum for space between balusters. Also, a deck that is improperly attached to the house can cause a collapse. This can happen during a party for example because the weight of all of the guests is just too much for the deck to handle so the entire structure falls. Not only can this cause injury, but also it is somewhat embarrassing for the homeowner. Get a permit from your building department and always follow their requirements. Naturally, but taking out a building permit, your tax assessment will rise, but only to the actual extent that the value of your property increased. Decks are actually considered an outdoor improvement like a walkway, driveway, or upgraded landscaping. Even though it is tough to put a dollar value on improving the aesthetics of your home, looks can go a long way. Consider how the deck will meld with the beautiful architecture of your house. Railings will offer a great opportunity to add color and detail that will look gorgeous when paired with your home. The perfect deck can definitely be created if you follow these tips from our team! For further help, we will assist you through the entire building process to ensure that no matter what you are left with the deck of your dreams. Four of this year’s trending colors and how to use them to enhance the elegance of your home. When it comes to interior painting, inspiration can be found anywhere, from traveling abroad to fashion to pop culture. As the world changes, so do what homeowners want their houses to look like. 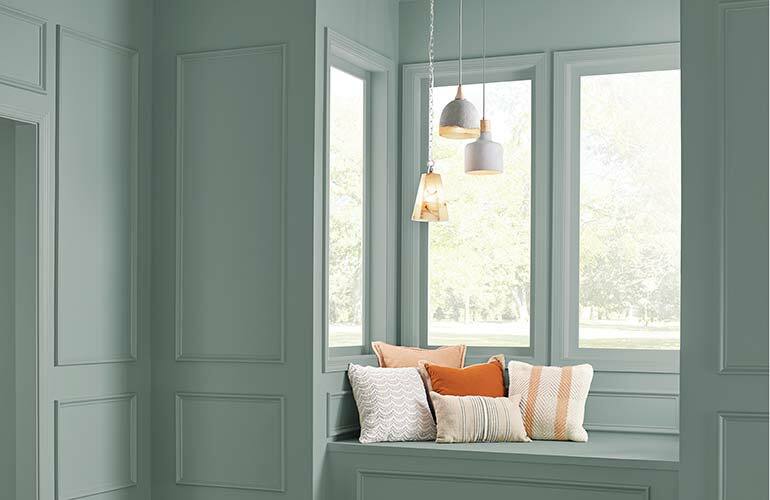 Many big name paint manufacturers have experts in-house that will identify which of these trends will be huge, create new palettes, and come up with aspirational names to describe these colors. 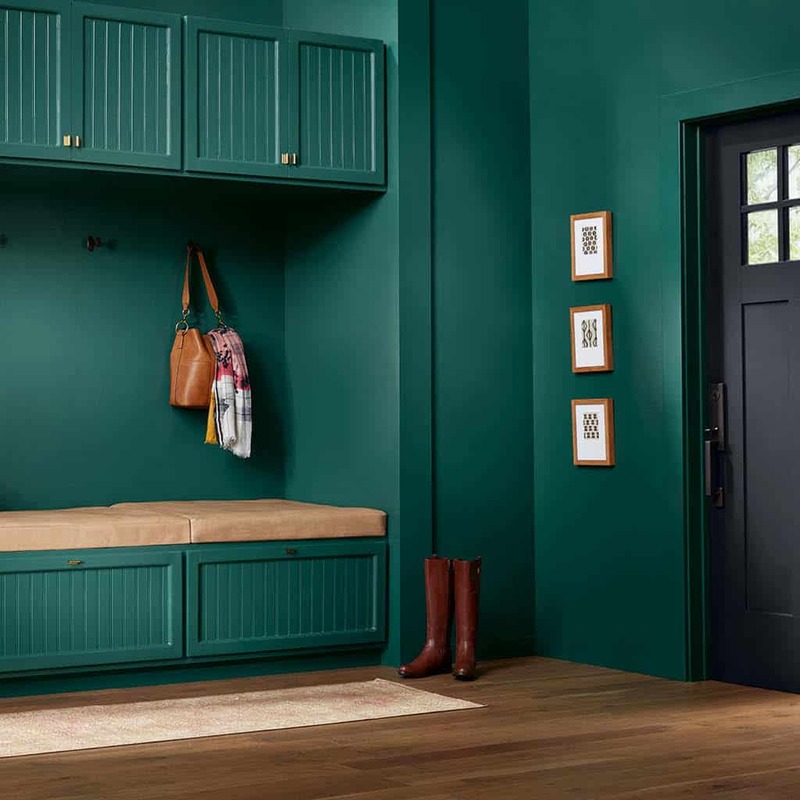 To jumpstart ideas in your head of how to boost to the allure of your home by using added color, our experts at Executive Craftsman have researched what colors will be huge this year in interior painting and how you can use them to your advantage. 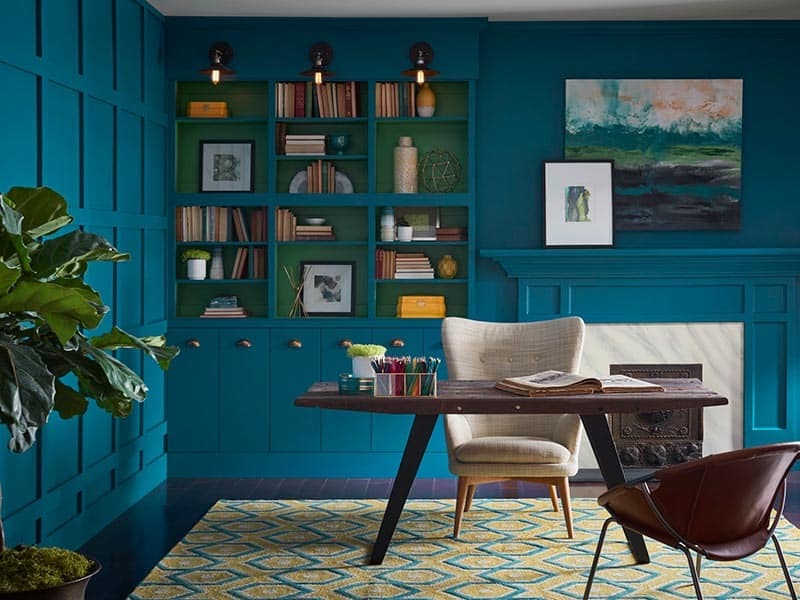 Described as: This color can best be described as a mysterious and opulent green-blue hue.Why it is trendy: Oceanside is a gorgeous color that is inspired by global interconnectedness and wanderlust. It reminds us of intriguing folklore like mermaids and going on expeditions all around the world.Where to use it: This color can be featured just about anywhere within a home. It pairs well with whites, creams, deep rich tones, or even warm metallics. Are you searching for a way to get a taste of how this color will look on your home without going too over the top? Consider trying it on a side table or an accent wall in a neutral room to see if it can stay or go. Sheen recommendation: We would recommend using it on larger flat walls with semi-gloss trim. Described as: This is a true black color with no undertones. On the Olympic palette, this is listed as the absolute blackest black. 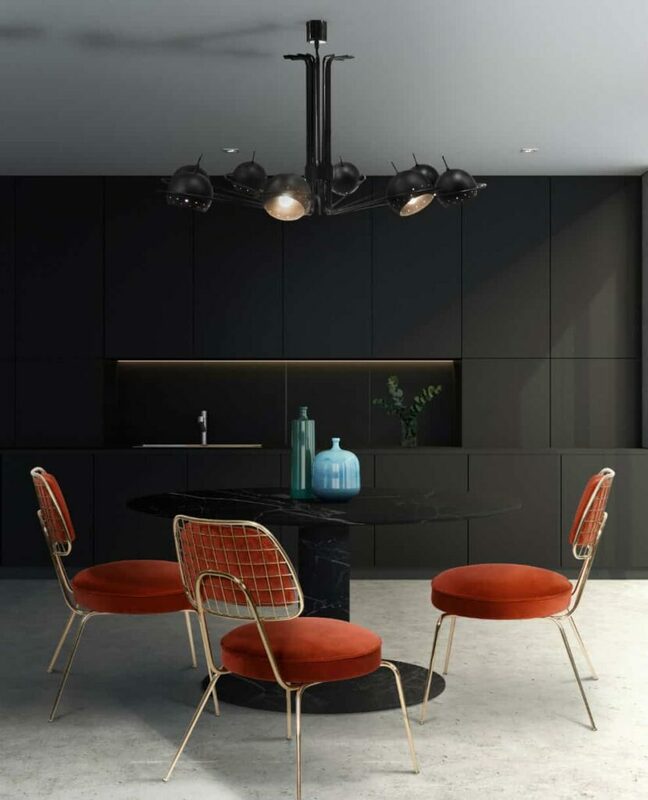 Why it is trendy: Black colors in a home can put off a very eerie and spooky vibe while at the same time encouraging tranquility. This color allows those that feature it in their home to pair it well with brighter colors so that they collaboratively pop. Where to use it: This color looks stellar on doors within a home, on the back panel of a bookcase, or even behind a large television. When the television is off, it seems to fade into the dark color on the wall, however, once the television comes on, the colors bounce right off of the wall to allow for a splendid viewing experience. Black Magic pairs well with warm white shades and even periwinkle accents. Sheen recommendation: Matte looks absolutely jaw-dropping. However, be sure that you use a paint that is washable for doors and other locations where fingerprints could potentially be an issue. Described as: This gorgeous color will now only put off a renewing vibe, but it is also extremely relaxing and soothing. This light and pleasant color will truly brighten up a space. Where to use it: If you are looking to create a room of serenity, you must paint it River Rapids. It looks glorious in living rooms, family rooms, and even bedrooms. It pairs well with blue-black, natural tones, and classic shades. Sheen recommendation: For rooms that see a lot of traffic, a higher sheen such as semi-gloss or satin are effective since cleaning is a breeze. On the other hand, softer sheens such as eggshell or enamel are great. Described as: Simply put, this color is intense. This invigorating green with just a touch of blue is both intriguing and refreshing. Why it is trendy: This color reminds us of happy times both at home and away adventuring. It connects those that see it to natural healing and meaningfulness. Where to use it: When entering a home, this color is sure to be the perfect greeting. It encourages visitors to take a deep and enjoyable breath of fresh air and to unwind just a tad. It can be used in areas that feature overlooks and in an entryway. Sheen recommendation: When choosing rich and vivid colors, be sure that the sheen is low to take away the color from being overwhelming or overly reflective. Choosing the perfect paint to elevate the look of your home is so important, which is why our team is here to help you. Together, we can collaborate upon which color would look amazing, what textures can be paired well with it, and how we can make sure that it will last. When times and trends change, we believe that staying up to date is important so that your home is always sure to impress. Without a doubt, it has been a winter filled with cold rain, tons of snow, and even periods of extreme cold. Your house has been closed up for many months and your garage is a disaster. 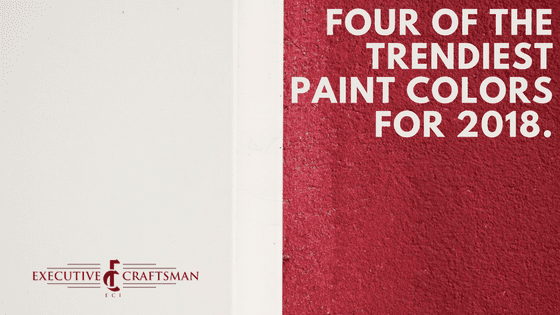 To save you the stress of scrambling once the weather gets warmer, our team at Executive Craftsman came up with these 7 tips to get your home primed for the spring. One of the most forgotten homecare tips is to clean out your gutters and downspouts. Check for signs of leaks or loose sections as well. Leaky gutters can cause damage to your home. If you are not comfortable venturing near your roof on a ladder, you can surely hire a professional to clean out your gutters for you. Do a visual inspection of your roof from the ground level to make sure that there are no loose tiles or tiles that were taken off during harsh winter storms. It is common for high winds to cause damage to your roof, especially if trees are near your roof. Overhanging limbs can take off tiles, as can branches that are flying through the wind. If needed, seek out a professional service to look at your roof and repair any damaged areas. A leaky roof can lead to damage that is far worse than replacing a few tiles. In addition, water that leaks in can cause mold damage or even cause wood to rot faster. After a long and brutal winter filled with rain, snow, and ice, your walkways, driveway, and siding need some attention. We recommend that you rent or purchase a power-washer in order to clean these areas. With proper TLC, the exterior of your home will look brand new. This is also a fantastic opportunity to clean off patio furniture so that you can enjoy it when the weather warms up. Once you have power-washed all of the winter build up off of your home, take some time to focus on inspecting the windows and doors of your home for damage. Take a look at the seals surrounding windows and weather stripping. Also, check glass for cracks and see if the paint surrounding the window is chipping. Replace or repair the damaged area and also re-caulk and repaint areas that are weathered away. This will save you money when it comes to cooling off your home once the weather warms up! The garage is a common area of your home that can truly take a beating during the winter months. Absolutely no one wants to take the time to clean out the garage when it is brutally cold out or even pouring rain. Take some time, crack open the door, and clean up the garage from top to bottom. Throw away any trash that accumulated during the winter and then put everything back in a place that makes sense for accessibility purposes. Clean dirt or salt from vehicles off of the floor and check the floor for cracks in the concrete. This is also the perfect time to clean off your vehicle, especially the undercarriage. It is common for tons of dirt, salt, and other scum to build up underneath your vehicle. This can cause your vehicle to deteriorate faster than expected and in cases can force you to purchase a new car in a sooner time frame than expected. Keep in mind; you do not need to accomplish all of these activities in a short time frame. If you plan to accomplish even one of these per weekend, you will be completely prepared once the warm weather rolls around. When that time comes, you will be able to enjoy the warmth and can just relax. Maybe you can even head out and do some fishing or play a round of golf! Beyond offering these tips, our experts at Executive Craftsman are here to assist you in any way possible from examining a roof to placing new siding on your home! Your home should always put a smile on your face and have an inviting vibe for every guest to enjoy. As time goes on, the expected tenure of homeowners continues to increase, according to the most recent profile of Buyers and Sellers. In the past year, the expected tenure was 12 years – this year, it jumped up to 15 years. With tightened inventory in many markets, people are deciding to stay in their homes for a longer period of time. As a result of this, home remodeling one’s current home is becoming a more and more popular option for those that want their dream home, but are unwilling or are unable to move. In 2017, The Remodeling Impact Report shows that remodeling can bring more enjoyment to a home, and certain projects have very high returns both in terms of joy that they bring to the homeowner, as well as the expenses that the owner can recoup once the home is actually sold. 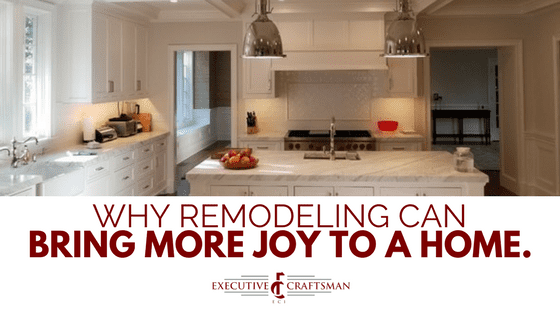 Our experts at Executive Craftsman have done some research and came up with some of the most popular homes remodel projects that will end up bringing more joy and recoup the most expenses for the homeowner that may come as a massive surprise. The number one project that people are having done is complete kitchen renovations. The most common reason for wanting a kitchen renovation is to increase the livability and functionality of a portion of the home where memories are made while both making and eating delicious food. According to The National Association of Realtors, when the project is completed, 91 percent of all respondents have both a greater desire to stay in their home and a greater sensation of enjoyment when they are inside their home. Overall, a kitchen renovation receives a perfect 10 out of 10 on the joy score and REALTORS estimate that $40,000 of the cost can be made up once the home is sold to someone else, approximately 62 percent of the estimated cost. The second most popular project to have completed is a kitchen upgrade. Much like the complete kitchen renovation, upgrading worn-out surfaces, finishes, and materials are high up on the list to have the project completed. As a matter of fact, this is the NUMBER ONE reason at a staggering 42 percent. When this project is completed, 81 percent of people report having a greater desire to be in a home and feeling an overall feeling of accomplishment when they think about the project. Slightly less have an increased sense of enjoyment than the complete kitchen upgrade, but the numbers are still high at 76 percent, but the overall project score is 9.6 out of 10. $20,000 of the actual projects cost can be covered once the home is resold, which is 57 percent of the estimated cost. The third project that we believe to be on this list is having a bathroom renovation completed in your home. 40 percent of people have this project done to increase both livability and functionality, while 38 percent want to upgrade worn-out surfaces, finishes, and materials. When the project is actually done, 78 percent of people feel a major sense of accomplishment when they reflect upon having the project completed. This very project rates 9.6 out of 10 on the joy score and it is estimated that $15,000 of the cost can be made up at resale, which is 50 percent of the estimated cost. At Executive Craftsman, we believe that feeling joy and happiness while you are in your home is extremely important. Whether that is a bathroom renovation or a kitchen renovation, there are so many little things that can put a smile on your face. Your dream home may seem like just a figment of your imagination, however, we can bring it to life. STAMFORD January 17, 2017 – Executive Craftsman, Inc of Stamford has won “Best Of Customer Service” on Houzz®, the leading platform for home remodeling and design. The Home Improvement Contractor was chosen by the more than 35 million monthly unique users that comprise the Houzz community from among more than one million active home building, remodeling and design industry professionals. The Best Of Houzz is awarded annually in three categories: Design, Customer Service, and Photography. Design award winners’ work was the most popular among the more than 35 million monthly users on Houzz. Customer Service honors are based on several factors, including the number and quality of client reviews a professional received in 2016. Architecture and interior design photographers whose images were most popular are recognized with the Photography award. A “Best Of Houzz 2017” badge will appear on winners’ profiles, as a sign of their commitment to excellence. These badges help homeowners identify popular and top-rated home professionals in every metro area on Houzz. 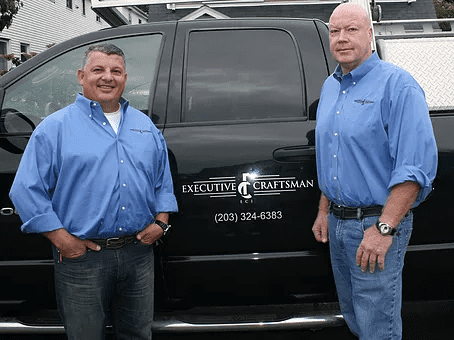 For over twenty years Executive Craftsman has been remodeling homes increasing their value in Fairfield County, CT. Today Executive Craftsman is the home builder of choice for residents in that area. They are passionate about turning their clients’ dreams and ideas into reality. I bet with all the snow and cold here in Connecticut, you’re not thinking of painting the exterior of your home. It’s not a really good time to do anything outside, but maybe snowmobiling or skiing. But, you may want to start thinking about it for a spring project. Executive Craftsman wants you to know that the spring weather, with mild temperatures and low humidity is the best time for paint to cure. The way a home looks says a great deal about the person living in that home, and most homeowners wish to make a good impression. One way to achieve that is by giving your home a new paint job. A good paint job also helps to protect a home from the potential consequences of weather, protecting and preserving wood and other materials. For these reasons and more, it is important for a homeowner to choose not just a painting contractor, who will do an acceptable job of painting a home, but one who will do a masterful job. Executive Craftsman is that contractor! Many times when we are preparing a house we find rotten wood that is not visible until the sanding process is started. Once a small amount of rot starts, it spreads quickly. This attracts termites and carpenter ants. It also will allow water to penetrate the house and cause more damage. Executive Craftsman has full time carpenters on staff to handle any repair needs while painting a house. One of the keys to finding a good contractor and to getting the best paint job possible is to hire locally, and to ask the right questions. Executive Craftsman is dependent on a local reputation, and cannot afford to have his or her reputation tarnished by doing a poor job. It is important to do some homework to assure you hire the right contractor for the job. Many people consider themselves painters but it takes many years of experience to learn how to do a first class job that will last and hold up in our tough weather conditions. Here are some important questions to ask when looking for a contractor. Can you provide a list of recent customers who will provide references? I am amazed when I drive by a house being painted and there are 2 guys on the job with their shirts off and a radio blasting. We pride ourselves in being as professional as possible, looking and acting professional. We have as many men on the job as needed to get the job done in a timely manner. There are not many jobs, weather permitting, which take more than 2 weeks from start to finish. We realize that it is an intrusion having 8 guys running around your house for 2 weeks so when we start the job we are there every day until the job is completed. Is the contractor licensed and covered by Workers compensation and liability insurance? Home owners don’t realize how important this is. Most home owners take this for granted and assume that the contractor is covered or think that it is not that important. We are asked maybe twice a year to provide this information. Rest assured, Executive Craftsman is fully licensed and insured. What is the process for a painting job? This is where a lot of painting contractors cut corners. Anybody can pick up a brush and slap on some paint. If the preparation process is not done correctly the paint job will fail quicker and the job will not look good when the paint is applied. First, the house should be washed with a chemical solution to remove mold, mildew, and dirt. Once washing is complete an extensive sanding job should be done. This will remove loose or peeling paint and feather out the rough edges from the built up paint. All surrounding areas should be protected during the preparation and painting process. All open seams or cracks should be caulked. If imperfections can’t be sanded out they should be repaired with a wood filler. Between coats of paint, all areas should be lightly sanded. This will increase the cost of the job but in the long run, it pays off and will make the job last much longer. Have the contractor put the entire process of preparation in writing and make certain that he or she dates and signs it. Holes and open seams should be repaired. All surfaces to be painted must be scraped and/or sanded to remove as much of the old paint as possible. Ask how many people will be part of the preparation process. All good paint manufacturers carry a less expensive line of paint. Just because a company claims that they are using a good quality company does not mean that they are using their better line of paint. A good quality line of paint now costs $60.00 per gallon. Make sure that the better line of the paint is being used. Executive Craftsman gets all of our work from word of mouth. We want to drive by your house several years from now and have your house looking as good as the day it was painted. We take pride in our work and consider our customers “long-term investments”. We want to make sure you are 100% satisfied. Our prices are competitive and we will give you a long lasting job that will give you many years of satisfaction. Make the exterior painting of your home a priority on your list of spring “to dos”. Call Executive Craftsman today to schedule your appointment! Yes, it’s August and I’m writing about Ice Dams. Winters in the North East are getting more intense over the past couple of years. You need to prep your home for these issues now to help prevent major issues when it’s more difficult to solve the problem. During the winter months, you will often see some houses with significant amounts of snow on the roof and others will have no snow. Counter-intuitively, the snowy roofs signify better-insulated homes, as the latter group’s snow has melted and formed. Spray foam can function as a solution for the problems associated with ice dams. 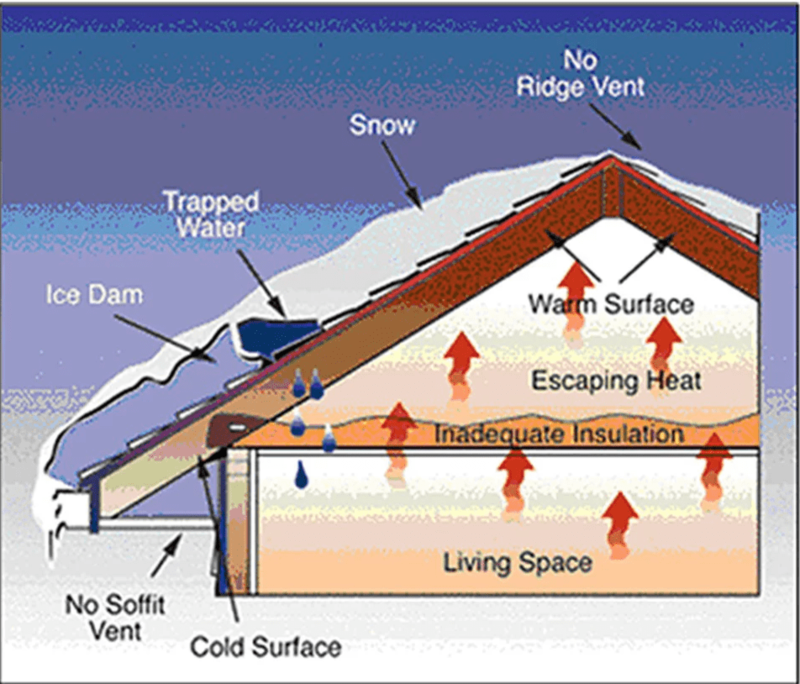 Ice dams form when an attic space becomes overly warm as heat escapes from the living space and also radiates from recessed light fixtures, ductwork, furnaces and other appliances. The heat in turn conducts through the sheathing and raises the temperature of the roof above the freezing point, which melts the snow and ice on contact with the roof surface. The snow and ice tends to melt in the areas just inside the perimeter of the exterior walls. Liquid water flows downward and refreezes as it passes over the roof overhangs, just above the soffit vents. The resulting ice buildup at the edge of the roof and in the gutters forms a dam. The liquid continues to gather and form as snow forms on the warm roof surface, it flows over and ice begins to slowly form and create icicles along the edge of the roof. Ice dams aren’t just indications of poor insulation; they can also cause serious damage to your home. Melted snow and ice can soak the roof deck under the shingles. The water can drip down on the ceiling or leak into areas where the roof connects to the exterior walls. Wet walls and ceilings are potential areas for mold and mildew growth. The ice can also fall and crack down onto a passerby and create mini avalanches out at your doorway. A key way to solve this problem is to offer sufficient insulating and sealing attic spaces with spray foam. The foam is applied to the roofing deck, along rim joist and it will evenly and efficiently seal the attic space to regulate the temperature of your home throughout the year. Well-insulated rooflines prevent the transfer of heat to the roof surface and thereby prevent the formation of ice dams. Another added benefit would be to increase the size of your gutter area will help a great deal; giving a great deal of space for the water to flow off your room and away from the house. If you would like to discuss protecting your home from ice dams this coming winter or simply have Executive Craftsman come out to inspect your home with a free evaluation please give us a call at 203-324-6383. We have been serving lower Fairfield County for over 20 years with expertise in building for living. You get what you pay for! Flooring materials vary greatly in quality, durability and looks. The less you shell out the more likely you are to get a product that is going to let you down in years to come. 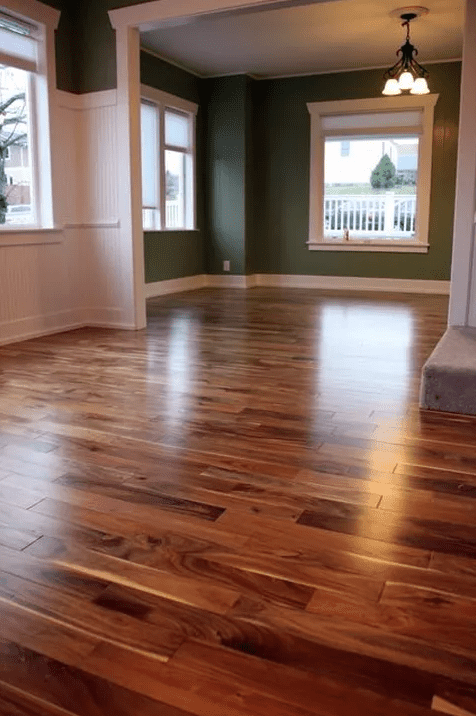 Floor cost in the materials and installation is directly related to the more you pay out the less you’ll be faced with costly repairs down the line. are going to cost between $5-$15 dollars per square foot for materials depending on the quality of the boards and the width. The installation cost can run from $3 to $10 per square foot depending on whether the boards are pre-treated or need to be finished on site. A new trend is ceramic hardwood tiles that look like wood. They are more costly yet, offer a great deal more flexibility in the home and last a long time. Laminate flooring is very cost effective with a floor cost of #1 to $6 per square foot for materials. It’s easy to install with cost ranging from $1-$5 per square foot, including laying down the sub-floor padding. run anywhere from $5 to $15+ per square foot for materials and $6-$8 per square foot to install. Again, wood floor ceramic tiles are becoming more popular as an option. Stone tiles run anywhere from $7 to $20 per square foot for materials and $6 to $8 dollars per square foot at least, for installation. Many tilers charge more for installing stone because lugging around more tiles is more labor intensive than working with other flooring options. Clearly they last for a long time. If you are thinking about having some flooring work done at your home please contact for support. We’ve been serving lower Fairfield County, CT for over 20 years. 203-324-6383. Summer is a great time of the year to fine tune the look of your property. Taking out overgrown shrubbery that is taking over the outside of your home and reevaluating the grounds to make sure you highlight the architecture features of the house. Trees give your home the “first impression” to anyone who drives past or cruses down the street. Plant trees and tall scrubs that accentuate the space. Mature trees create shade and add depth to flat gardens and smaller front yards. It will also create a cool place for bird and squirrels to live. The key when planting trees is to make sure the soil condition and environment is ideal for the type of tree so it will thrive in local conditions. Landscaping strategy embraces artistic influences and smart designs features with local native flowering plants. Vibrant colors help to maximize curb appeal. Also, some species of flowering plants can help repel mosquitoes from your property. So, be mindful of where you are placing specific perennials so, the bees will be away from a relaxing patio area and you provide best results for both appeal and relaxing opportunities at your home. A key to a lush green lawn in lower Fairfield County often boils down to sod. It’s the easiest way to assure you have the highest quality lawn, immediate results and grass that will last for years to come. Garden pavers, walkways and paths are another important part of creating a lasting and rewarding landscaping to a property. Cobblestone or water-aged river rocks make a wonderful pathway. Various exterior lighting accent lights also add to ambiance and safety around a home. 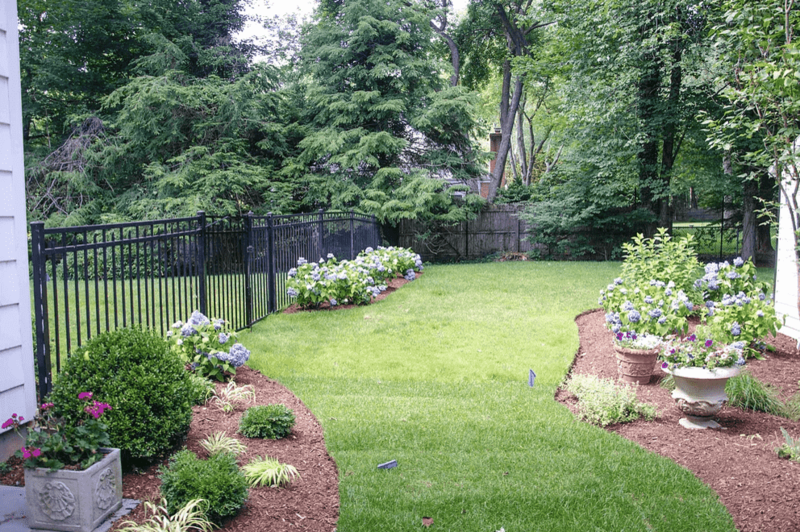 If you are looking to change or update landscaping to you home this summer please give Executive Craftsman a call for a free consultation at 203-324-6383. We’d welcome the opportunity to speak with you directly. Email us directly at steve@executivecraftsman.com or johel@executivecraftsman.com.